Admiring the beauty, order and dynamics of LM 2000, an industrial laundry based in Meolo near Venice means recalling the past and linking it to the future. Well, there are also memories and hopes. But let us start with the first ones. “Two thousand”. Remember? During the transition from the last to the current century, there used to be a name that, probably due to the emotions the new millennium produced, was being given to any shop, enterprise or a freshly founded association. Consequently, there suddenly turned out to be Two Thousand bars, gyms, tattoo studios, clubs, sports associations, real estate agencies, shops, beauty centers, bookshops, dry-cleaning shops, car mechanics, beach clubs, tv channels and hairdressers. Shop signs carrying this name raised the expectations around that particular time, that year that divided the two centuries, the revisable past and the future of change, hopefully. In 2018, we know that it did not go that way. We have witnessed the fact that many problems and limits were passed on to the next century, our century. Some of them improved, others became worse. Nevertheless, and maybe because of that, it is good to learn that not all of those “Two Thousand” businesses applied that name by pure chance. 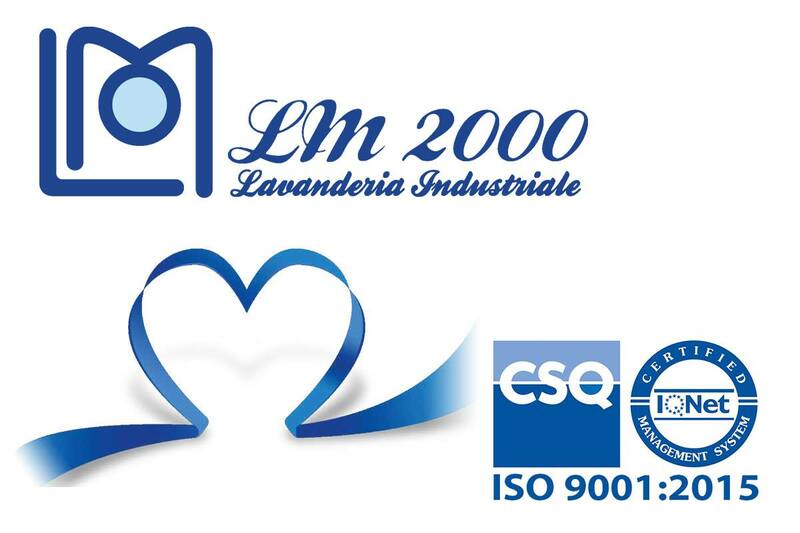 And that, if we analyse it in detail, it was almost impossible to use a different name that would be as attractive and promising to businesses like LM 2000, an industrial laundry based in di Meolo, a small town inland in the Veneto region, just a few kilometers from the Canal Grande. 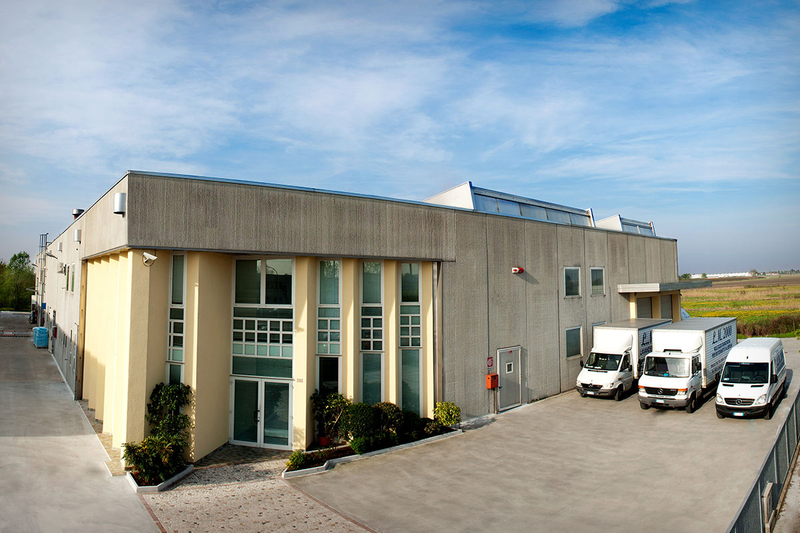 From here, from this factory open to the world as its glass roof suggests, a dozen trucks deliver linen daily to hotels, restaurants, B&Bs and hospitality structures that contribute to the wealth of the entire North-East Italy. Here come the hopes and dreams we mentioned earlier: they have been realized in this place in order to be transformed into new objectives. It is hard to imagine a better advert for a “XXI Century laundry”: a four-thousand-square-meter factory that will soon become six thousand where, since the prophetic year 2000 when everything started, tunnel washers have been working and full linen carts have been rolling. Here, the formula of textile care of the past has been conformed to an extremely innovative and high standard business model of today. 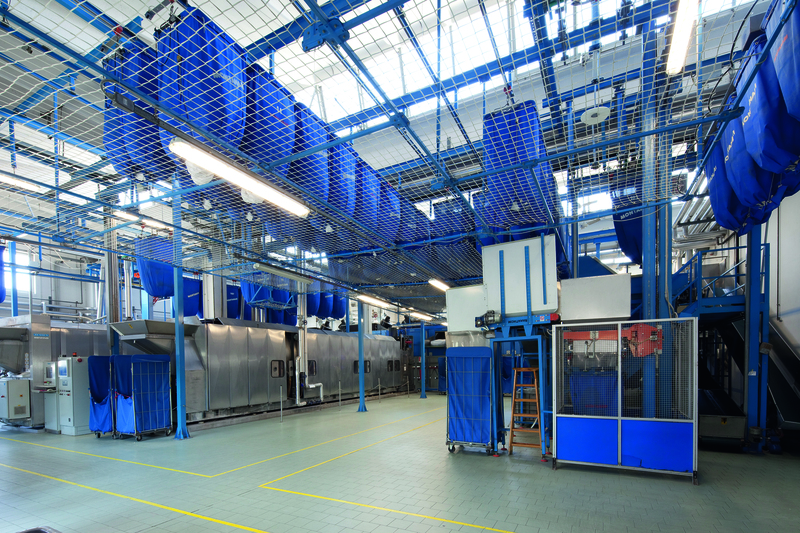 Inside the LM 2000, everything is fed by both advanced technology and staff that work in optimal conditions to be able to carry out every stage of the work at the highest possible standards which translates to the European certification obtained by the laundry, ISO 9001:2015. The figures speak for themselves. The important turnover is actually constantly growing. 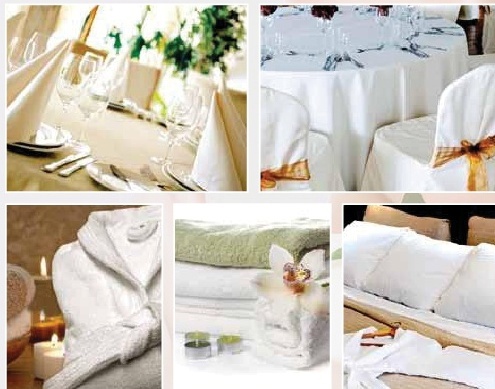 The business hires 80 employees and treats 250 quintals of linen per day on average. The production is divided into shifts, which is what we can expect from working with a portfolio of 400 clients spread over the provinces of Venice, Padova, Treviso, Belluno, Pordenone, Trieste, Trento and Bolzano that make the range of action extend over the entire Triveneto area. These are exemplary results from the economics point of view, yet, they should be “read” in detail in order to catch their real value. The owner of LM 2000, Assunta Borga, explains it to us through few simple words while talking about the company policy and history. “The most important value of this business is constituted by those who work here contributing to its growth”. Assunta starts by stating this clearly. Then she adds: “When this company started, I had just finished working for an artisan laundry. It was a family business. What I learned there, gave me the basis for opening and running LM 2000, which I later launched on the market of industrial laundries”. 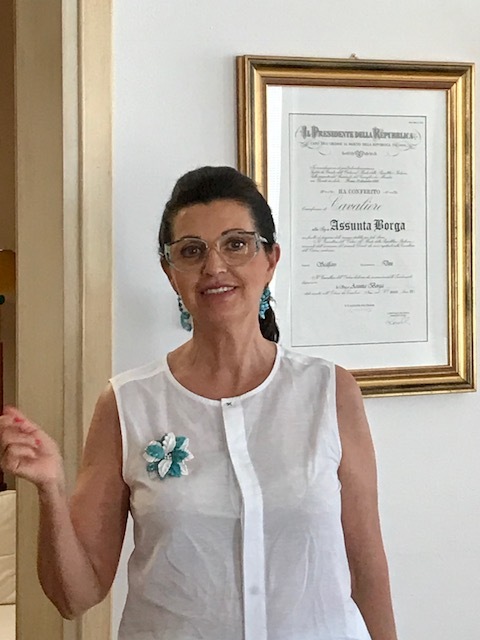 “Working over the territory that offers great business opportunities, yet extremely competitive, – continues Assunta Borga – immediately started constituting a challenge. It pushed me to operating in the sign of the best Made in Italy standards. “Over the years – the entrepreneur explains – we often invested in research and development collaborating with our partners. We realized innovative and trendy linen to fully meet the needs and personal style of our clients. Our rental proposals have been developed for various furnishing style. We keep in mind the environment they are going to be used and aim at a warm welcome of the guests”. In order to reach and keep such results, it is necessary to work with a great “team” in each department. “That is why – says Assunta Borga – we mostly aim at the involvement and the satisfaction of staff. We know our personnel is even more unique because of its multiethnicity”. The global soul of the laundry from Meolo was put at a hard test right after it was founded. In year 2002, in order to comply with the Bossi-Fini law that had just been introduced, Mrs. Borga took one of the foreign employees to the Court of Justice in Venice in order to register their immigration status as legally employed to be able to continue to live and work in Italy. “That was an important moment – the woman remembers – as it was one of those situations that helped strengthen the harmony and balance inside the company. Since then, the growth of LM 2000 has followed the growth of the employees step by step. If one of them has a health problem or a family issue, the business does not only limit itself to acknowledge it, but it is there to possibly support them, understand and assist. The high standard work of the business is realized by excellent machines so that the company can keep the sector leading position it deserves. Michele Calvani Fortini, Assunta’s son, follows the technological development of the business. He covers the position of the Director. “The latest innovation – he explains – is the Rfid, an identification system. The automatic identification of linen is based on radiofrequencies used to trace linen pieces to which a Tag has been applied. The system is used more and more often by the industry to improve the production quality in terms of efficiency, speed, automation and safety”. All this makes us think that, unlike other places that back then updated their name exclusively, the laundry LM 2000 has always been living in the third Millennium.